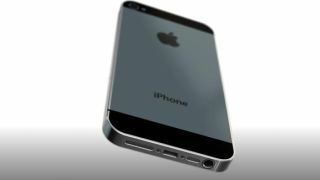 Could supply shortages cause iPhone 5 delays? This wouldn't be the first red herring of its kind, but new reports are suggesting that Apple's iPhone 5 may be in short supply come the expected autumn launch. According to a report from Digitimes (which has a mixed record on these matters), component shortages could mean that Apple's initial handset order could be 25 per cent light. The site references "multiple sources" in Apple's far-Eastern supply chain who suggest shipments may fall from 20m to 15m in Q3 due to "poor yields" of touchscreens and the rumoured, smaller dock connector. "Issues related to the poor yields of in-cell panels have been cited previously as possibly disrupting Apple's shipping schedule for new iPhones," says the report. "The latest rumors indicate that Apple has recently redesigned a connector at the bottom of the new iPhone and that yield rates of the new connectors at Foxconn International Holdings (FIH) have been low due in part to insufficient supply of some key materials." Any shortcoming in the amount of handsets available would make the usual mad dash during launch week that little bit madder. However, we wouldn't push the panic button just yet. There rumours usually fly around prior to the launch of a new Apple product and this will probably to turn out to be the latest not to come to fruition.